An excellent economic analysis on the Export-Import Bank done under the article titled, "Basic Economics of the Export-Import Bank of the United States | Mercatus"
Domestic firms seek to utilize a local Government Export-Import Bank to make international trade "fair", since, based on those domestic firms perception, the rules of the game are not titled in their favor. Yet, as it is with most things with Economics, the obvious answer is not always the ideal "solution". Audio: "Negative and Positive Liberty"
An Excellent video on the notion of Negative and Positive Liberty. Click here to listen. The scholarly analysis of race has be done from scholars of all types. One of the most popular scholars of the analysis of Race is Tim Wise. Mr. Wise has dedicated a large portion of his research on "white privilege". "White Privilege" is the main reason why there is an inequality gap, as per Mr. Tim Wise, on the economic outcomes in the labor market between whites and blacks. Of course, in true scholarly fashion, he has empirical evidence to support his position. 1. Racism does exist. Yet, how it feels to the individual is subjective. 2. My analysis is limited to how Mr. Wise builds his argument, not proving or disprove that racism or "white privilege" exists. "For example, the argument that racial wage gaps merely reflect different levels of experience and qualifications between whites and blacks are simply untenable, when one examines the data. Fact is, earnings gaps persist at all levels of education. According to Census data, whites with high school diplomas, college degrees or Master’s Degrees all earn approximately twenty percent more than their black counterparts. Even more striking, whites with professional degrees (such as medicine or law) earn, on average, thirty-one percent more than similar blacks and fifty-two percent more than similar Latinos (1). Even when levels of work experience are the same between blacks and whites, the racial wage gap remains between 10-20 percent (2)." As per the census of 2011, only 6% of Blacks are in the STEM workforce. If only 11% of blacks are in the workforce, and represent 6% of the STEM workforce, it would only stand to reason that the income disparity would work against blacks. With regards to STEM wages after graduation, they earn $15k more than non stem majors. Couple that with the notion that there exist only 6% of Blacks in the STEM fields, this is one explanation of the income disparity. Here is a question for Mr. Wise: How is this an example of "white privilege"? If Blacks are under represented in STEM, this is clearly a choice by youngsters on what type of college study in which to major. This is not a "zero sum" game as Wise attempts to infer. Next, making the assumption that earnings for two individuals are supposed to equal is a un realistic position. Each individual has different skills, interests, educational levels and the like. If someone is a janitor, and the next person is a neurosurgeon, it is quite clear that their income will differ. With this sort of analysis, Wise attempts to conflate the notion of qualitative analysis with quantitative analysis. How does he possibly conclude from this that there is "white privilege". What he is demonstrating is that the aggregate of choices between the races, with regards to college major and career choices, are demonstrating differences in outcome. In short, the only real conclusion that Mr. Wise can draw from the analysis of this data is that both races, in the aggregate, have chosen different career paths. Based upon those choices, the incomes will differ based on market demand for those said professions in the labor market. Making a conclusion that this is "white privilege", based on these differences, is invalid. St Louis Fed: QE was a Mistake? "Now, the very same St. Louis Fed (this time in the form of a white paper by the bank’s vice president Stephen D. Williamson), is out questioning the efficacy of QE when it comes to stoking inflation and boosting economic activity. Williamson says the theory behind QE is “not well-developed”, and calls the evidence in support of Ben Bernanke’s views on the transmission mechanisms whereby asset purchases affect outcomes 'mixed at best.' "
This article from Mises Daily | Mises Institute, explores the economics of the issues surrounding bringing drugs from Research and development, approval from the FDA, and finally, to the marketplace. What are the economic impacts on the marketplace due to this process? "Globalization has made borders much more porous. Workers look abroad for better opportunities to earn money, which they can then send to their families back home. But getting that money across borders isn't simple, which is why immigrants have been heavily dependent on remittance companies like Western Union, MoneyGram, and Ria. The problem, though, is that the fees these companies charge are often very high, and substantially cut into workers' earnings. That's why digital-first companies are starting to seize on the opportunity in the remittance industry." 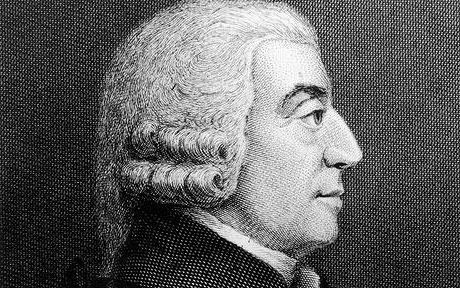 Here is an excellent analysis of Adam Smith's point about how Government's difficulty in attempting to "plan out" things in an economy. "Adam Smith argued that politicians and bureaucrats lack both the information required to make good decisions and the incentives to become better informed." These individuals that are murdering large amounts of farmers in South Africa are simply performing an act of economic destruction. "The number of farm murders rose to 67 in 2014 from 62 the previous year, Afriforum and the Transvaal Agricultural Union (TAU) said. There were 277 farm attacks in 2014, which the organisation believes is the highest figure since 1990. The 132.2 murders on farms per 100,000 people is more than double the murder rate for policeman at 54.4 per 100,000 people, the unions added, and 32.2 per 100,000 for the country's population as a whole"